The illegal trade in live chimpanzees, gorillas, bonobos and orangutans showed no signs of diminishing – and may actually be getting worse – since the Great Apes Survival Partnership (GRASP) published the first-ever report to gauge the global black market in great apes in 2013. 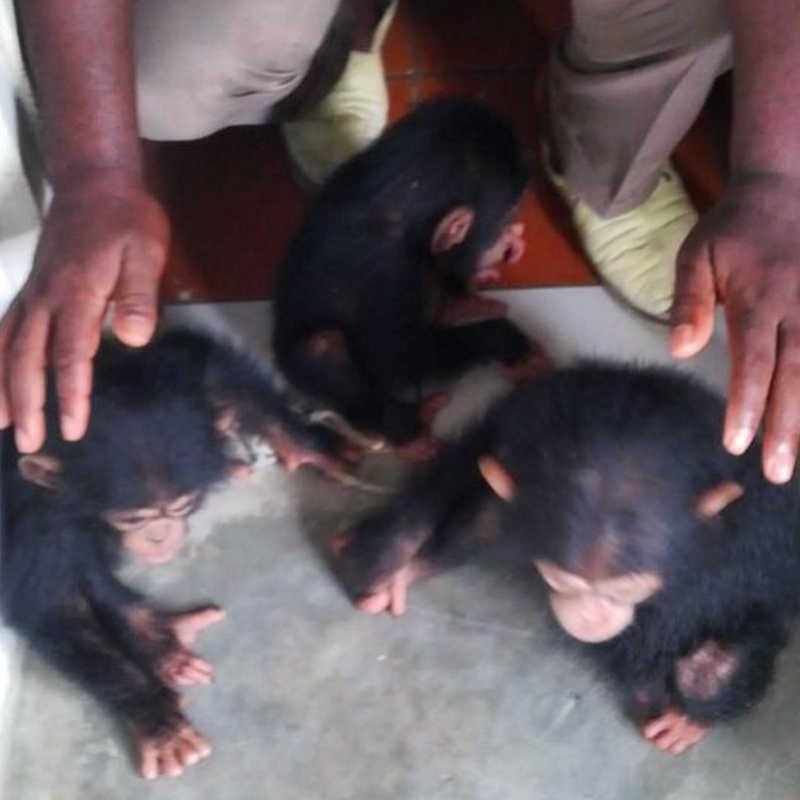 Three chimpanzees captured in Ghana before transport. 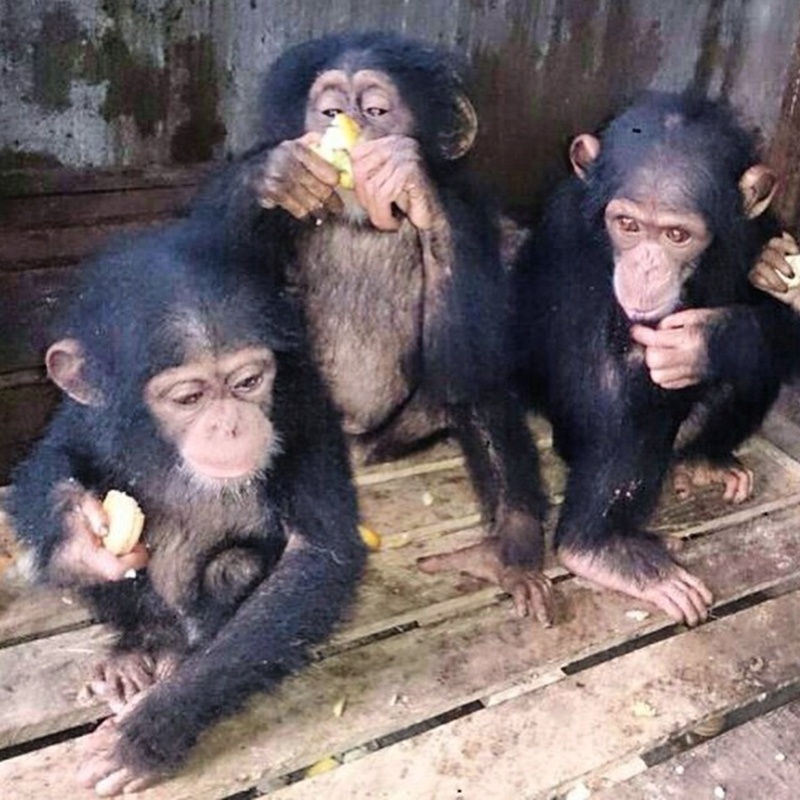 Unlike wildlife contraband such as elephant ivory or rhino horn, the overwhelming majority of great ape confiscations occur within national borders. Only 5 percent of the total confiscations in 2013 and 2014 crossed international borders.